TGIF! Hey guys, this week has been kind of meh so I'm happy that weekend is finally here. I am looking forward to the beach trip tomorrow because it's been ages since I've been to one. 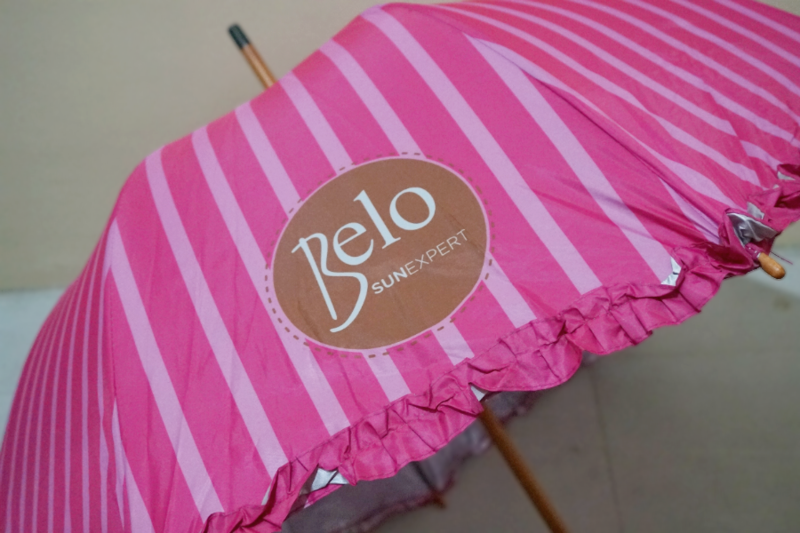 In a happy coincidence, these Belo SunExpert products were delivered yesterday courtesy of Sample Room Ph. 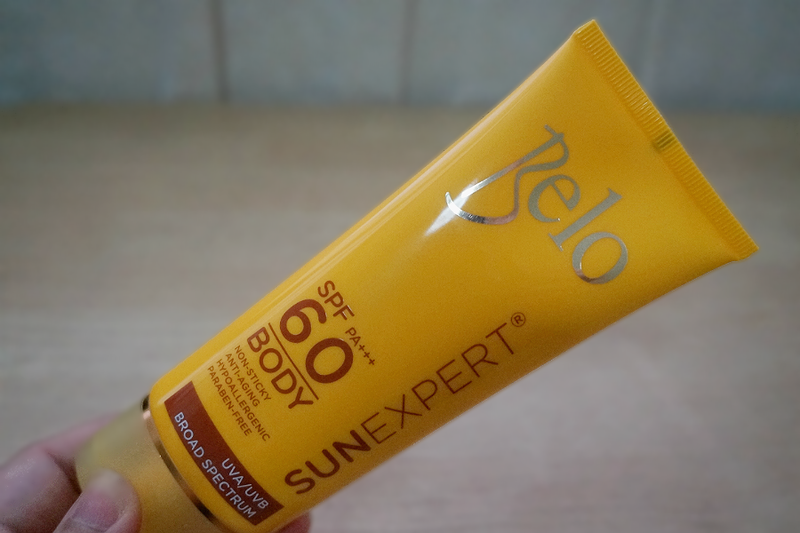 I sort of expected to see these sun protection products in stock just because Belo has been quite generous in giving out samples lately. 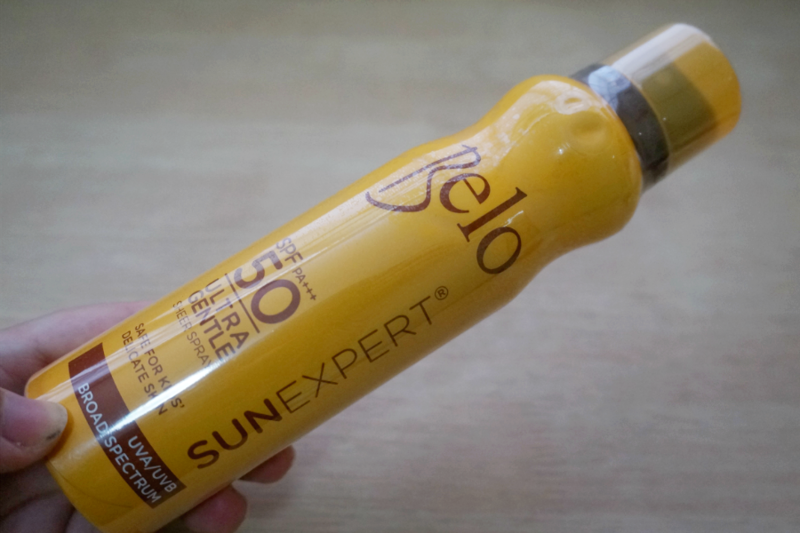 I got the chance to try out three of the products from Belo's SunExpert line: the Body Shield, Face Cover and Spray Mist from last summer's Glamourbox Belo Essentials box. 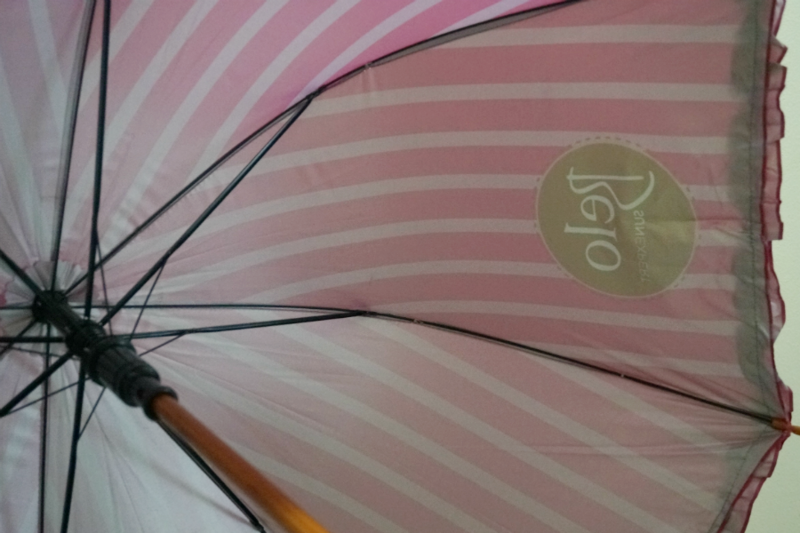 Another innovation from the trusted name in beauty, is simply not your ordinary umbrella. With its fabrics infused with UPF 50, this umbrella effectively filters out 97% of UV rays and actively reduces UV transmissions. Ultraviolet Protection Factor (UPF) represents the fabrics ability to reduce UV transmissions. 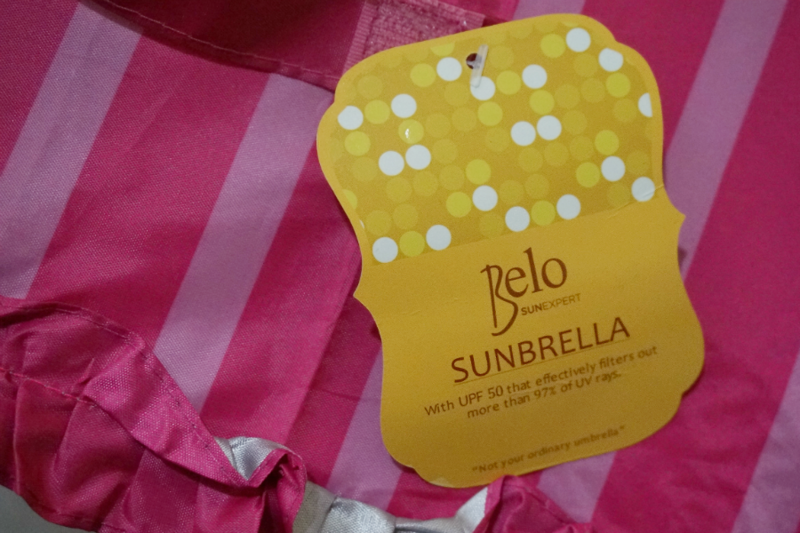 Coupled with its fresh design, unique dome shape and fashionable patterns, Belo SunExpert Sunbrella UPF50 makes function more favorable and fun. This umbrella looks cute and so very pink. It's shaped like a vintage umbrella with additional ruffly trims along the edges. I might have some reservations actually using this in public just because it looks so conspicuous. Otherwise, this offers ample sun protection so I am willing to suffer the unwanted stares. I just finished (See: February Empties) a tube of this so I decided to get another sample. 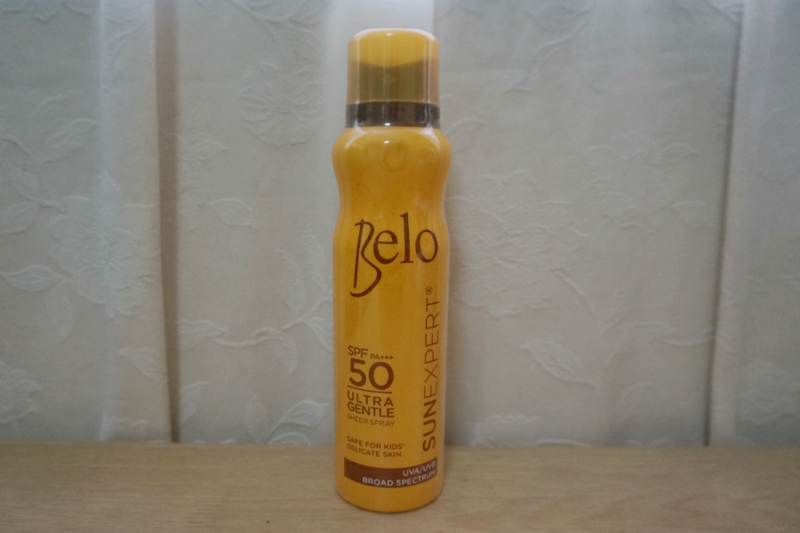 I like this sunblock because it absorbs well with relatively no greasy after-feel. 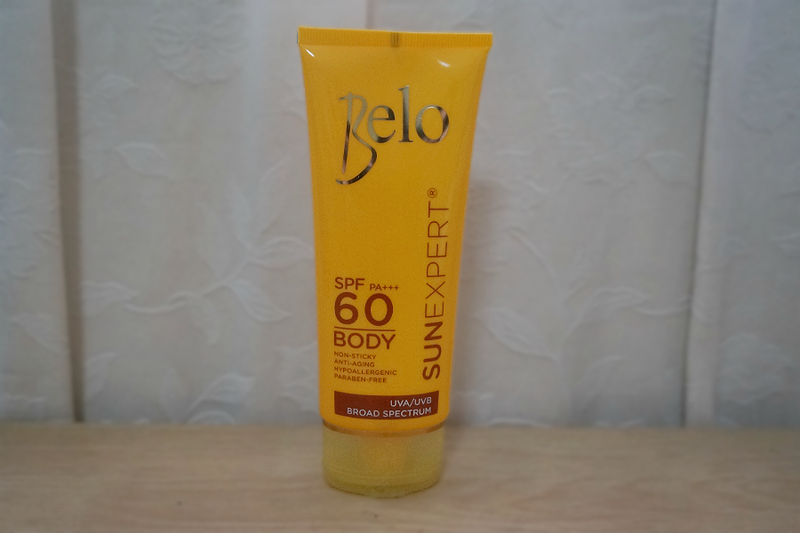 Belo’s very first kid-friendly product. Specially formulated sunscreen that is gentle enough for kids yet effective and strong enough to protect everyone in the family. Its ultra gentle formulation provides effective broad-spectrum protection against harmful UV rays. Its Cell Protect formula strengthens the skin’s defense system and actively prevents accelerated premature skin aging. Hypoallergenic, dermatologist- tested, and paraben-free. 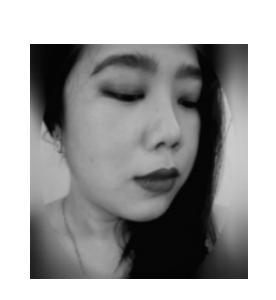 It is also non-sticky and quick-drying, and works immediately upon application.